The Taj Mahal has inspired painters, writers, critics and poets: in more recent years it has been filmed, televised and profusely photographed. But nothing can equal the unforgettable experience of seeing such beauty and perfection for oneself. Today, once again, the Taj Mahal is cherished and preserved, as indeed the Emperor of the World had meant it to be. 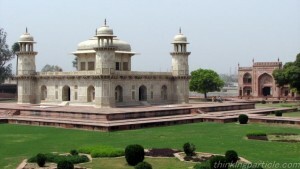 To Shah Jahan it was a sacred ground, a precious memorial of a loved one. And after his death, at least till the end of Aurangzb’s reign, it continued to be held sacred. But as later travelogues reveal, it was not always to be so. The building I am speaking of is of a different and peculiar kind: but not without something pleasing in it’s whimsical structure; and in my opinion it well deserves palaces in your book of architecture. It consists almost wholly of arches upon arches, and galleries disposed and contrived in an hundred different ways. Nevertheless the edifice has a magnificent appearance, and is conceived and executed effectually. Nothing offends the eyes; on the contrary it is delighted with every part, and never tired with looking. The Last time I visited Tag Mehale’s (Taj Mahal) mausoleum I was in the company of a French merchant (Tavernier) who, as well as I, thought that this extraordinary fabric could not be sufficiently admired. I did not venture to express my opinion, fearing that my taste might have become corrupted by my long residence in the Indies; ans asmy companion was come recently from France, it was quite a relief to my mind to here him say that he had seen nothing in Europe so bold and majestic. There is Koran is continually read with apparent devotion in respectful memory of Taj Mahal by certain Mullahs kept in the mausoleum for that purpose ……Everywhere are seen the japer, and jachen, or jade, as well as other stones similar to those that enrich the walls of the Grand Duke’s chapel at Florence, and several more of great value and rarity, set in an endless variety of modes, mixed and enchased in the salable of marbles which compose the pavement are inland with these precious stones in the most beautiful and delicate manner imaginable. 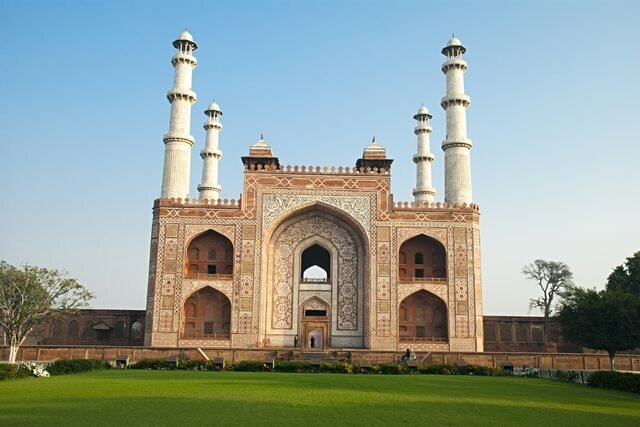 Under the dome is a small chamber, where in is enclosed the tomb of Taj Mahal. It is opened with much ceremony once a year. And once only; and as no Christian is admitted within, lest it’s sanctity should be profanes, I have not seen the interior, but I understand that nothing can be conceived more rich and magnificent. 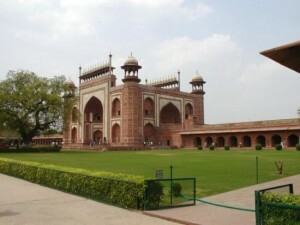 …….the Begum is interred under a vault which is beneath the first platform The same changes which are made below in this subterranean place are made above around the tomb, for from time to time they change the carpet chandeliers, and other ornaments of that kind, and there are always there some Mollahs to pray. to the partial eye of the native Indian; it is beheld with no less wonder and delight by those who have seen the productions of art in various part of the globe. 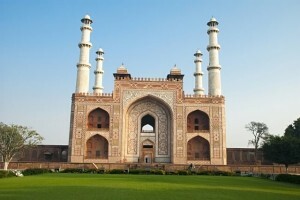 But by the turn of the century the attitude to Indian ar t and architecture had changed. Bentinck, the first Governor General of India (1828_33), had planned to demolish several monuments in Delhi and Agra, and remove their facades to be shipped and sold togentry in England. Some pavilions at the Agra fort fell victim to this bizarre plan. Even the Taj Mahal was to be dismantled, but word of the failure to sell the marble in London, arrived in time. However, even the west, the Taj Mahal, on never quite lost its admires and in London, especially, symmetrical walkways, fountains, domes and white marble became popular. 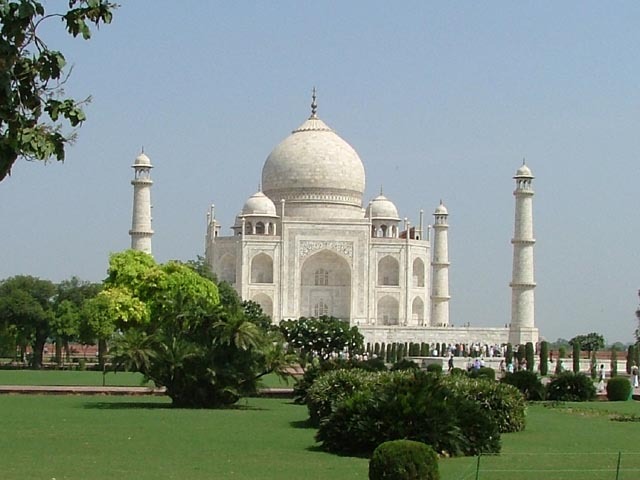 By the nineteenth century all sanctity and quite had been removed from the Taj Mahal. The beautiful memorial had been turned into a pleasure resort; in its gardens. Englishmen met their lovers, on its terrace, they danced, while the mosque and the jawab were returned out to honeymooners. For five and twenty years of my life had I been looking forward the sight now before me. 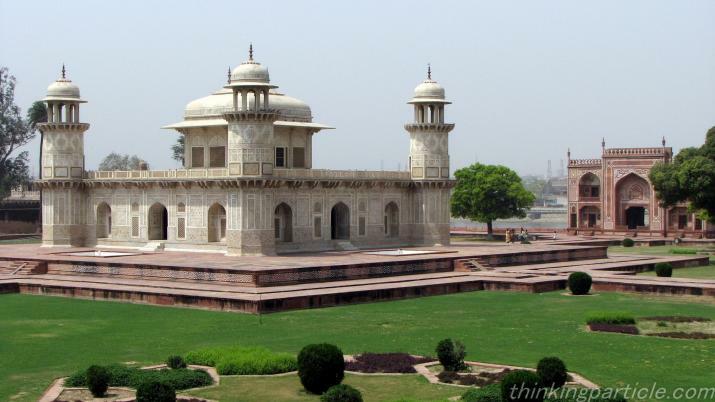 Of no building on earth had I heard so much as of this which contains the remains of the Emperor Shah Jahan and his wife…. and from the first sight of the dome and minarets on the distant horizon, to the last glance back from my tent ropes to the magnificent gateway that forms the entrance from our camp to the quadrangle in which they stand, I can truly say that everything surpassed my expectations. I at first thought the dome formed too large a portion of the whole building; that its neck was too long and too much exposed; and that the minarets were too plain in thei design; but after going repeatedly over every part, and examining the tout ensemble from all possible positions, and in all possible lights, from that of the full moon midnight in a cloudless sky, to that of the noon day sun, the mind seemed to repose in the calm persuasion, that there was an entire harmony of parts, a faultless congregation of architectural beauties on which it could well for ever without fatigue. I went on from part to part in the expectation that I must by and by come to something that would disappoint me; but no, the emotion which one feels at first is never impaired: on the contrary, it goes on improving from the first coup d’oeil of the dome in the distance, to the minute inspection of the last flower upon the screen round the tomb. One returns and returns to it with undiminished pleasure; an thought at every return one’s attention to the smaller parts becomes less and less, the pleasure which he derives from the contemplation of the greater, that he could not have it all his wife within his reach; and of the assurance that the image of what he has seen can never be obliterated from his mind…. By Sleeman’s time the vault was open to all, and suffered for it. Of the gardens he writes that ‘’ the fountains are made to play almost every evening when the gardens are frequented by the European gentlemen and ladies of the station, and by natives of all religious sects”. Please Note: In the above details few times Taj Mahal has spelled differently. This is the original way how these people spelled Taj Mahal.